An e-learning course is called “the best”, when it engages learners to achieve the learning goals. As visual design plays a major role in gripping the learners, our quest is to find new design approaches to offer learners, fresh learning experiences. We can create a better visual appeal every time when we go beyond using the standard course design templates available. We need to experiment with different styles and effects while designing a course. Whatever new will help to engage, but we should also use our creative capabilities to make things even brighter. 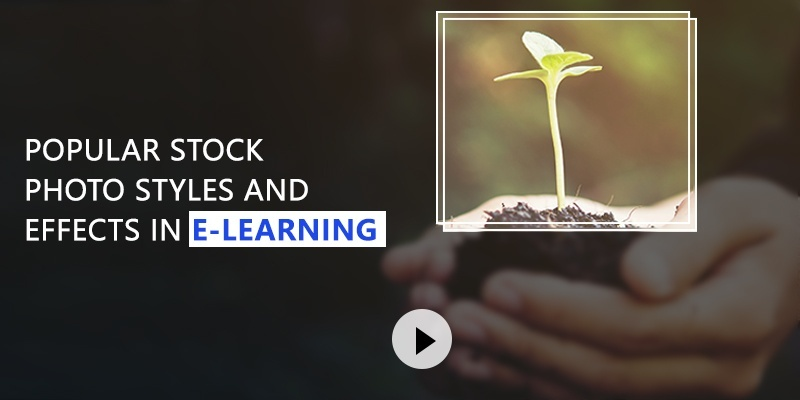 One of the e-learning challenges is, to come up with a sample using different stock photo styles and effects. This initiates creative thinking and helps us realise what we can do while using stock photos in e-learning courses. We’ve come up with one where we used some of the stock photo styles and effects.